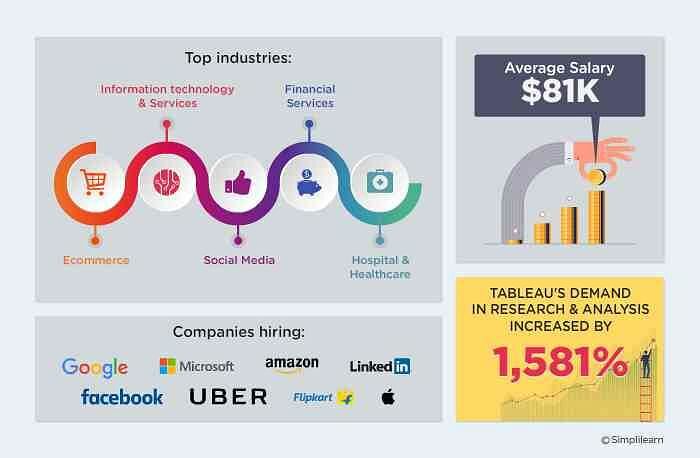 The Tableau training in Hyderabad is ideal for professionals like system administrators, software developers, and BI professionals and prepares them for the Tableau Desktop 10 Qualified Associate certification. The training focuses on the fundamental concepts of Tableau Desktop 10 including dashboard designing, data organization, and visualization build up. The Tableau course in hyderabad is inclusive of 2 simulation exams and industry-oriented projects to give you a practical idea of Tableau. What skills will you learn with this tableau certification training?